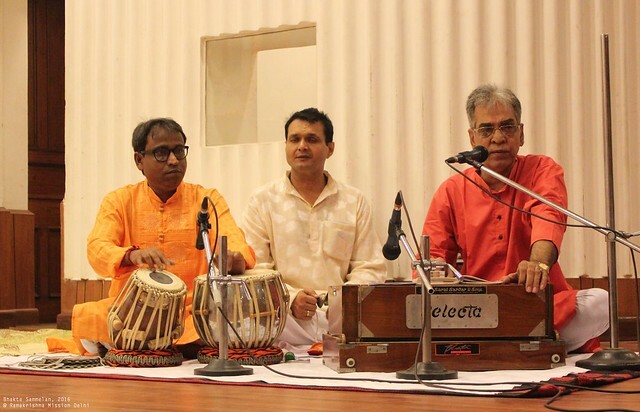 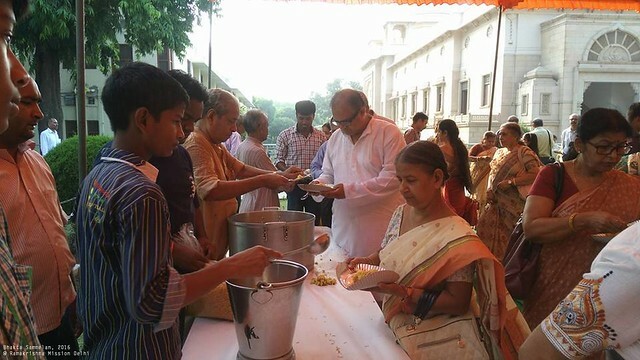 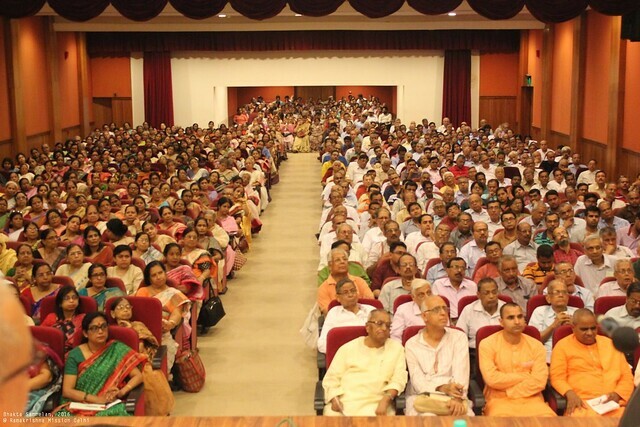 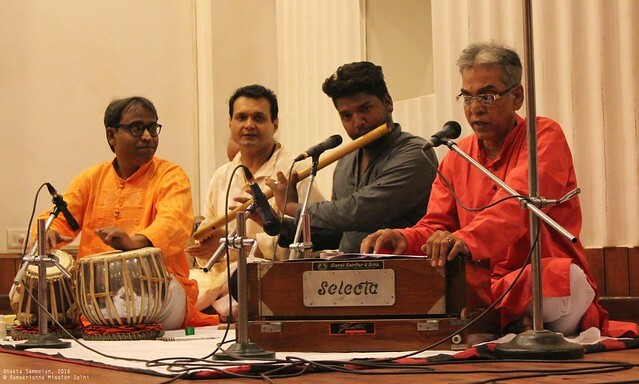 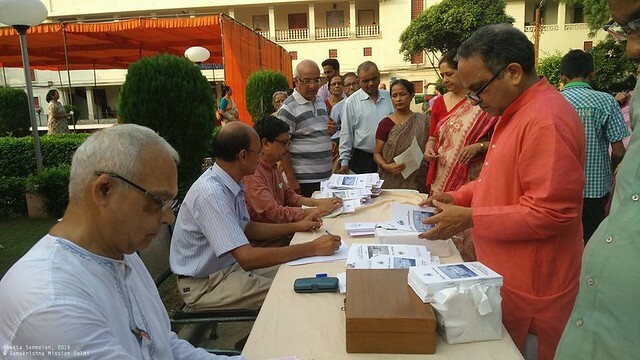 A full-day Bhakta Sammelan (Devotees’ Conference) was organized at the Vivekananda Auditorium, Ramakrishna Mission, on Sunday, the 18th September, 2016. 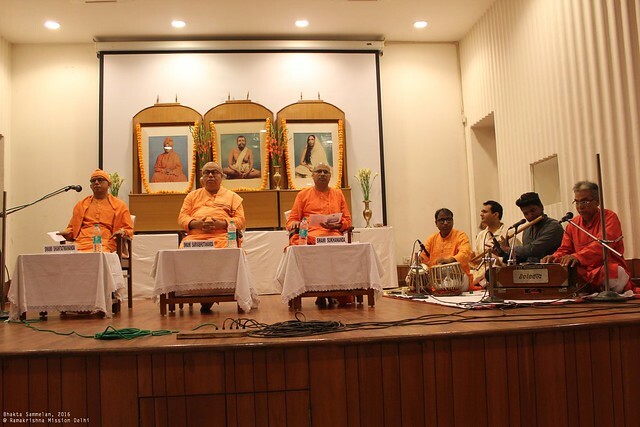 For this Bhakta Sammelan Revered Swami Sarvabhutanandaji Maharaj, Secretary, Ramakrishna Mission Sevashrama, Allahabad, and Revered Swami Sukhanandaji Maharaj, Secretary, Ramakrishna Mission, Patna, were specially invited to speak on the subject, “Surrender to God (Sharanagati)”. 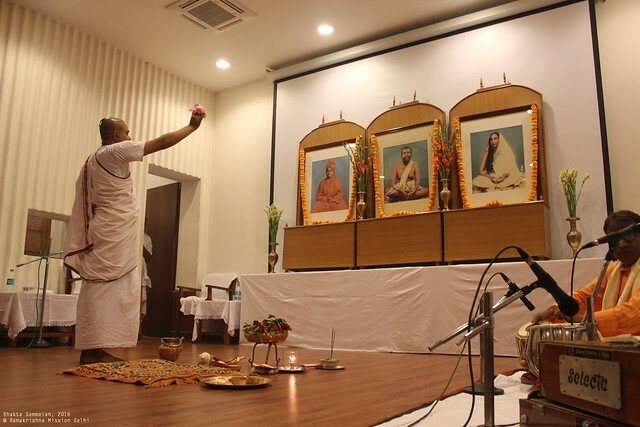 After Namarchana was over, Swami Shantatmanandaji Maharaj delivered a brief address welcoming the speaker Swamis and all others who had come to participate in the Bhakta Sammelan. 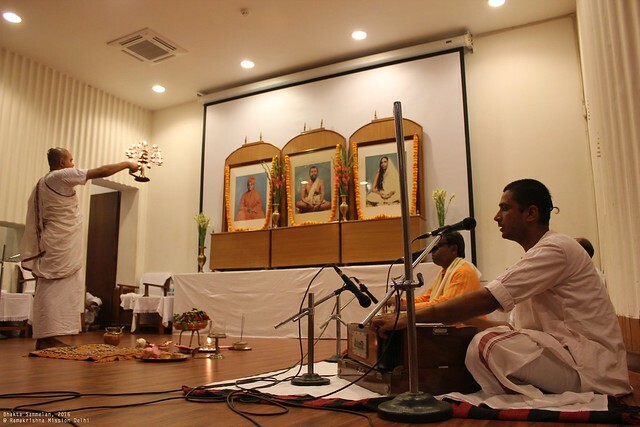 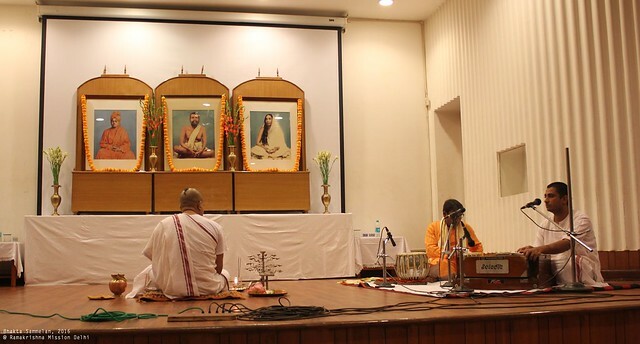 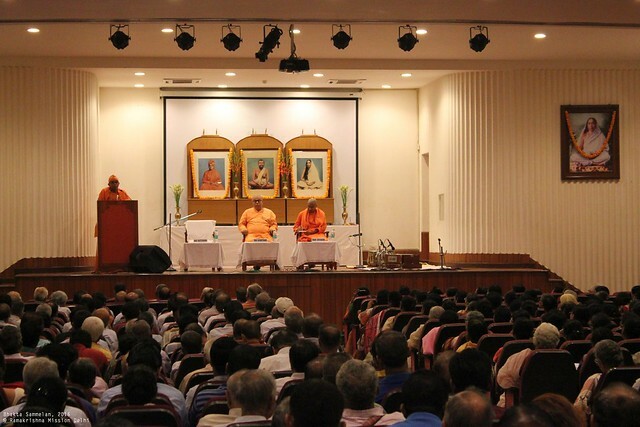 After the welcome speech, Swami Sarvabhutanandaji Maharaj and Swami Sukhanandaji Maharaj spoke on the subject. 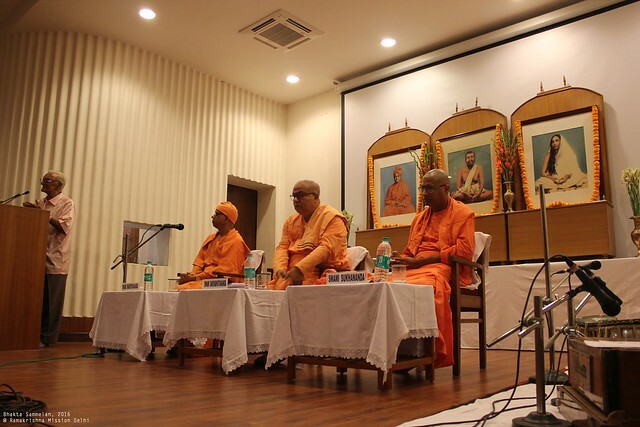 This was followed by Bhajans and question-answer session. 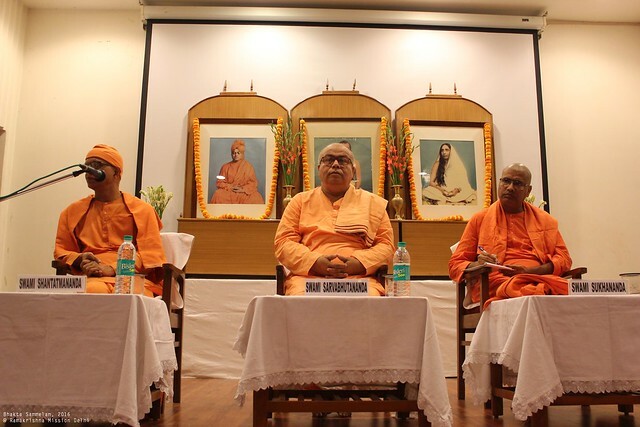 Revered Swami Shantatmanandaji Maharaj delivered the concluding remarks. 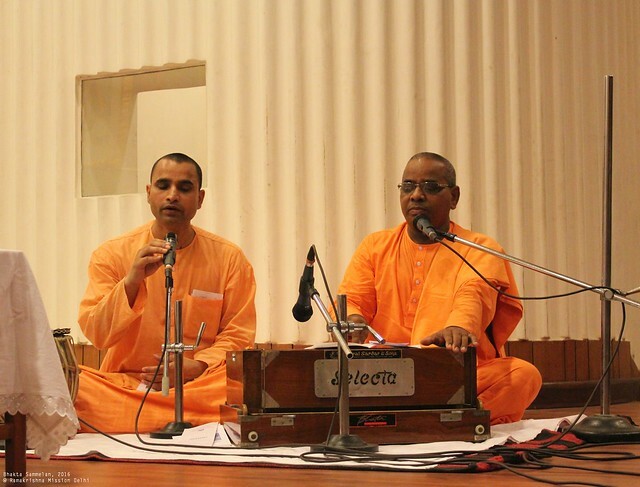 This was followed by singing of “Ramakrishna Sharanam” in chorus by all delegates.